The annual Arab Health International Exhibition held at Dubai International Convention and Exhibition Centre during 29 January -01 February 2018. The exhibition is the most authoritative exhibition of medical equipment and supplies in the world. There are around 4,000 enterprises from more than 60 countries and regions at the same time. 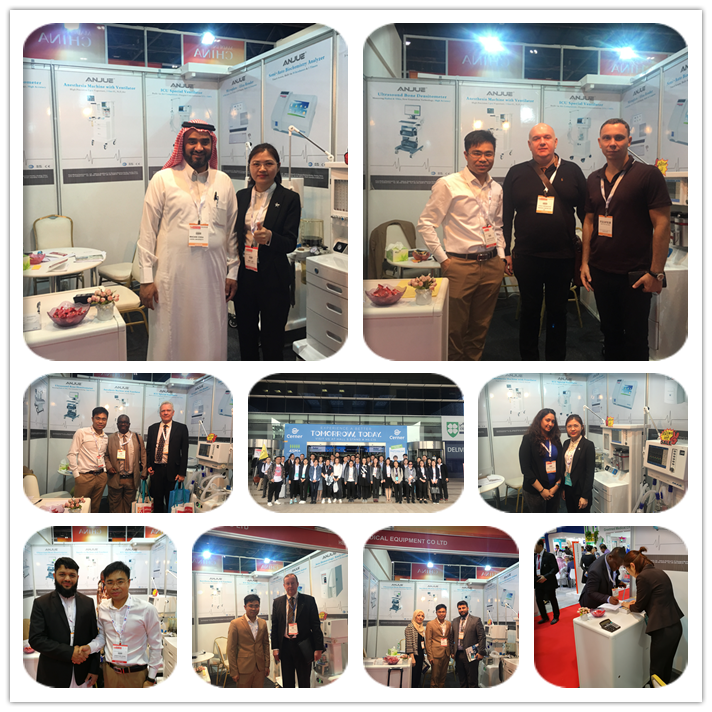 It provides a good exhibition platform for many medical manufacturers. 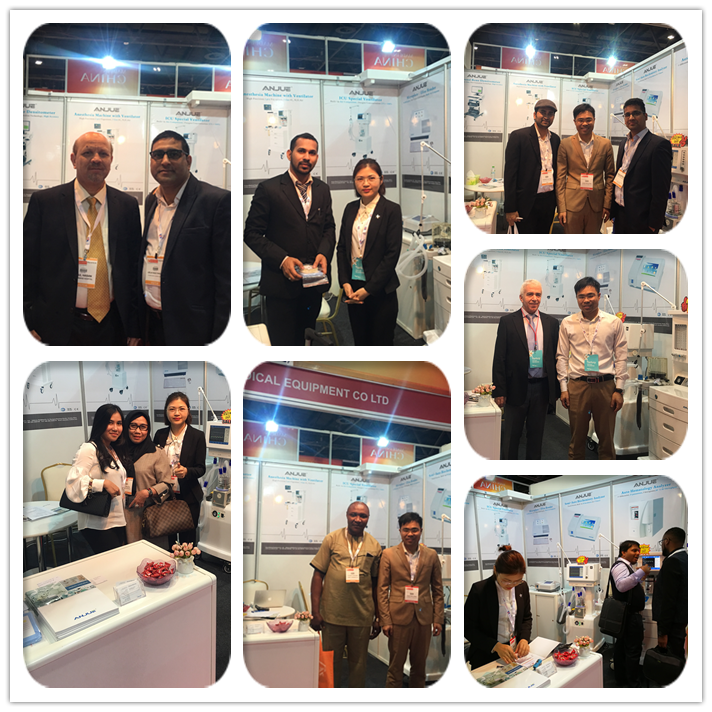 We Anjue Medical brought a newly-developed and high-end Anesthesia Machine and Ventilator for this exhibition. As a famous factory in this market, we are striving to expand overseas markets with customer-preferred product.Our designed booth and innovative products attracted many new and old customers to stop for a visit.Glad to meet many old and new friends.We will continue to innovate and continuously improve product service and quality, fighting together toward a healthy world.